University of Melbourne welcomes Professor Clare Scott, Professor Suzanne Garland AO & Professor Eva Dimitriadis to the Department of Obstetrics and Gynaecology, Royal Women’s Hospital. In a joint appointment with the Walter and Eliza Hall Institute (WEHI), clinician scientist Professor Clare Scott has joined the department as Professor of Gynaecological Cancer. 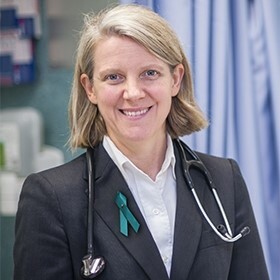 In this new role, Clare will provide academic leadership in teaching, research and clinical care within the University, the Royal Women’s Hospital, the Victorian Comprehensive Cancer Centre, the Peter MacCallum Cancer Centre, the Mercy Hospital and other health services and medical research institutes associated with the Department of Obstetrics and Gynaecology. In her laboratory at WEHI, Clare and her team focus on targeted therapies and drug resistance in ovarian cancer, a major cause of cancer mortality in women. This involved developing novel pre-clinical models of epithelial ovarian cancer, complementing her work as a medical oncologist in breast and ovarian cancer. To hear Clare speak about her work at WEHI and the inspiration she draws from working directly with patients, please watch this short video. Clare has been awarded Clinical Research Fellowships from the Victorian Cancer Agency (2011, 2017-2019), the Sir Edward Dunlop Cancer Research Fellow from the Cancer Council Victoria (2012-2016), the Jeannie Ferris Recognition Award in Gynaecological Cancer from Cancer Australia (2018) and she has been elected as Fellow Australian Academy of Health and Medical Sciences. In September, internationally-recognised clinical microbiologist and sexual health physician Professor Suzanne Garland AO joined the department as Professor of Reproductive and Neonatal Infectious Diseases. With her team, Suzanne has been a leader in the role of patient self-collected sampling to detect reproductive tract infections and was instrumental in the evaluation of the efficacy and rollout of the vaccines against the human papillomavirus (HPV), which causes cervical cancer. Her department is the Western Pacific regional laboratory for the HPVLabnet and performs ongoing HPV surveillance to measure vaccine effectiveness for the Australian HPV vaccine program. Suzanne is a regular advisor to the World Health Organization (WHO), including a member of the HPV Working Group to SAGE. She has published in more than 600 peer-reviewed journals, 35 chapters of books, and has been invited to deliver keynote and plenary presentations at national and international meetings. 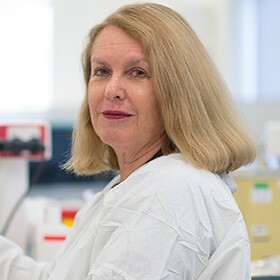 Suzanne is the inaugural and past President of the newly formed society, AOGIN (Asian Oceania Research Organization on Genital Infection and Neoplasia), which brings together clinicians and scientists within the Asian and Oceania regions and whose work is related to genital infections and neoplasia. Suzanne is the recently elected Vice President of the International PapilomaVirus Society [IPVS]. In mid-October, Professor Eva Dimitriadis joined the department as Professor in Reproductive Biology. 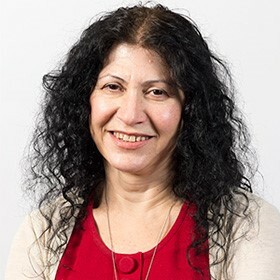 Previously at the Hudson Institute of Medical Research, Eva’s work focuses on endometrial-embryo interactions and placental biology with applications in infertility, IVF, pregnancy disorders and endometrial cancer. Eva discovered a novel role for endometrial cytokines in the development of preeclampsia, and roles for secreted non-coding RNA in human embryo-endometrial interactions. Her research contributions to the field are recognised by awards internationally and nationally from the Society for Gynaecological Investigation and Society for Reproductive Biology (SRB-RCRH Award for Research Excellence in Reproductive Biology). She has published extensively in the field in prestigious journals including PNAS, Nature Reviews Endocrinology and EBioMedicine. Her work has featured in editorials in journal including Science, PNAS, EBioMedicine and Biology of Reproduction.